Transformations are always exciting. If you’ve managed to stick around on social media for more than a few years, you’ll know what I mean. Business owners who’ve been plying their wares on social channels long enough will surely have witnessed how they’ve all morphed over the years. A prime example of this type of transformation is LinkedIn. What began as a resume-posting site slowly evolved to become what is now considered the premier networking platform for professionals. 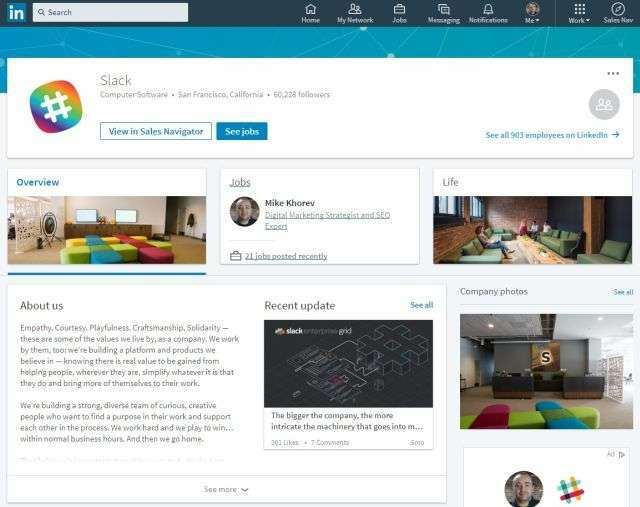 More recently, however, LinkedIn has undergone yet another evolutionary leap. It’s a development that’s causing business marketers to salivate. LinkedIn is now a great place to market your business — even your B2B business. The marketing potential that’s now at your fingertips with LinkedIn means one thing: you’d have to be nuts to ignore it. With over 500 million registered members, it’s a potential gold mine of leads, connections, and resources. Let this be your LinkedIn for Business and Marketing Guide so that you don’t end up feeling negligent about marketing your business, here’s a primer for getting started on LinkedIn. And for those of you who sell B2B, this represents an even greater opportunity, since ideal marketing platforms are few and far between for your crowd. For whatever reasons you may have ignored LinkedIn in the past, now’s the time to let go of them. Imagine the ability to get in touch with other professionals who have similar interests and needs. Imagine building a network from which you could eventually start pulling leads. Getting your head aligned in the right direction will help you with everything that is to follow. It’s time to believe, to accept LinkedIn as a marketing platform and dive in full force to a world of potential. Place a pinned post at the top of your feed. Slack does this to promote their Enterprise Grid. Use a logo image. Companies who do this send six times more traffic to their pages. If you run a global business, set up different Company Pages in different languages for different audiences. Create Showcase Pages. These are offshoots of your main Company Page and serve to highlight products, a division, a campaign, or anything you feel deserves special attention. For example, Dell has Showcase Pages for Dell Security, Dell EMC Cloud, and Dell Technologies. You’ve heard this before, but it’s worth repeating simply because so many marketers still can’t seem to get it right. In the B2B context, with smarter, savvier professional audiences, it’s even more crucial to post great articles, infographics, images, videos, podcasts, and whatever else your creatives are coming up with for you to post. Professional people are busy people, so don’t waste their time. They also get sales pitches thrown at them day and night. That’s why one general rule of thumb is to be genuinely helpful and interesting, not sales. To that end, it’s important that when you post content, you should consider the value it holds for your audience. Getting overly promotional with content is the sure-fire way to fail at this. With over 500 million people registered on LinkedIn combined with immense data filtering capabilities, you have the ability to target exactly the people who you believe will buy your product or service. One way to attract such a market is to connect over values and ideals. If your company runs on a strong set of core values, then post content that reflects those values. People who share those values may be inclined to do business with you. Take Tesla, for example. They do a great job of letting their core values shine through in the content they post. Their values reflect a commitment to alternative energy, environmentalism, optimism for the future, innovation, and technology. Their posts all support these ideals. A creative way to show your values is to help people by answering questions in LinkedIn Groups. There are over 2 million groups on LinkedIn so chances are you’ll find a few where your target audience hangs out. In the old days of sales, you’d have to pass through quite a few gatekeepers to finally arrive at the door of someone who could make a decision. With LinkedIn, you have the potential to gain direct access to key decision makers — no gatekeepers standing in your way! When you sit down to build your connections, don’t pussyfoot around with those gatekeepers. They serve important functions where they work, of course, but they probably can’t serve you in a B2B situation. Plus — and this is even more exciting — once you make contact with a key decision-maker, your pitch is more likely to be received. The platform’s professional networking bent means that people who sign up are warmed up to the idea of making connections. In that sense, you’re never really ‘cold calling’ to make a sale. After all, who bothers to sign up for LinkedIn but doesn’t ever want to be contacted? Use LinkedIn’s Advanced Search to find people to connect with, and if you pay for the Premium account, you get even more filters to play around with. One of your marketing goals on social media might be to increase engagement. On LinkedIn, that could come in the form of comments, Likes, or Shares. Using images and videos is one way to get more comments. Links also bring higher engagement rates — by as much as 200%! However, this is not a case where more images are better. In fact, LinkedIn may be the last outpost of the wordsmith because the most successful posts often don’t have images at all! Here’s another interesting fact: long form articles perform the best on LinkedIn. Seems busy professionals do make time to read great content. Eventually, when you get your LinkedIn strategy dialed in, you can start thinking about setting up a sponsored post campaign. These allow precise targeting, of course, so you can reach your intended audience. But don’t dive into the paid stuff until you’ve built up your LinkedIn network, feed, and presence first. You can also consider Sponsored InMail, which offers personalization at scale. One More Time: LinkedIn Works! After all this, you may be wondering why you haven’t used LinkedIn before to market your business. 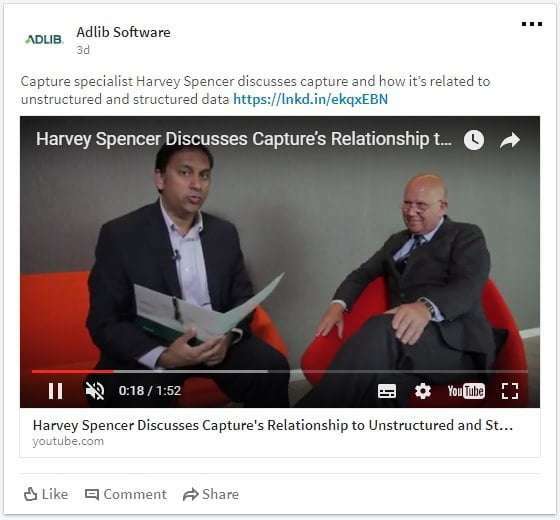 LinkedIn is all about professional relationships, after all, so it seems custom built for B2B marketers. By the very nature of the platform, your marketing audience is already pre-filtered for professionals looking to connect in your industry. 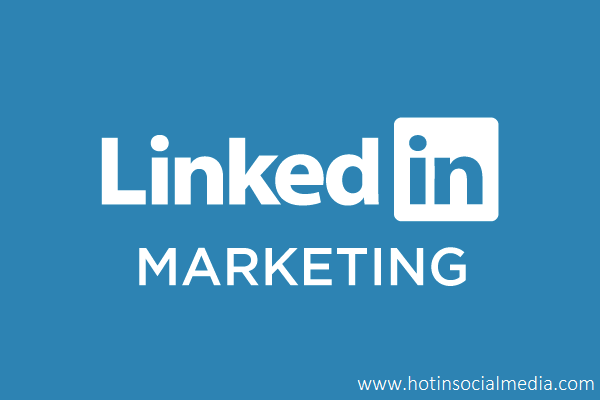 Now that you know the basics of how to market your business on LinkedIn, it’s time to join, connect, post, engage, network… and sell! Mike helps small and mid-size businesses drive leads, increase sales and grow revenue online. He designs, develops and executes integrated digital marketing campaigns across paid, social, organic and digital channels. Follow him on Twitter and LinkedIn.